Magid Glove & Safety Mfg. Co., Chicago, IL, expands its signature E2 line of best-value hearing protectors with the new E2 IHP100 and IHP100C Paddle Plug Earplugs. 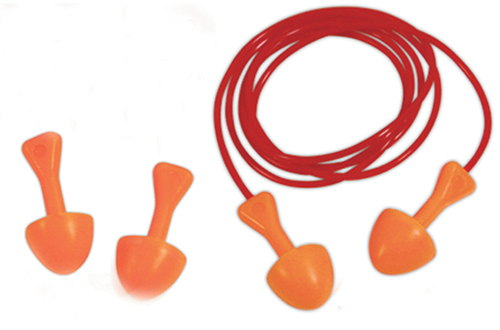 The earplugs feature PVC paddle stems to simplify wear and removal. The convenient plug-and-go design is capped by soft and flexible, hypoallergenic polyurethane foam tips that conform to the ear canal to deliver high NRR 27 protection. No rolling is required to fit the earplugs, resulting in easier insertion with improved hygiene and greater compliance. Moreover, the plugs’ bright orange and red colors enhance visibility during compliance checks. E2 Paddle Plugs are packaged one pair per sealed polybag with 100 pairs per dispenser and 20 dispensers per shipping carton. See also: Magid Glove & Safety Mfg. Co.